Netflix’s mobile apps had their most lucrative month in November, with consumers around the world spending an estimated $86.6 million in subscription fees on the platform’s iOS and Android apps combined. That’s a whopping 77% more revenue than the $49 million Netflix’s apps generated in November 2017, TechCrunch reports. 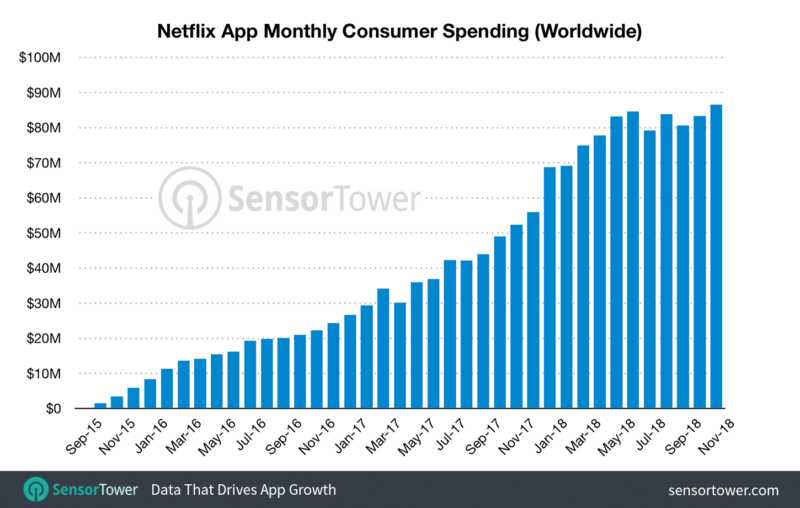 The earnings data comes from intelligence firm Sensor Tower, which also revealed that, prior to last month, Netflix’s best month was July 2018, when it pulled in $84.7 million. The reason for the record-breaking month? TechCrunch points out that the firm’s findings show significant year-over-year revenue growth coming from international Netflix users, particularly in Asia: 107% in South Korea and 175% in Japan. Netflix’s revenue also grew 90% in Germany and 94% in Brazil but ultimately the U.S. — with 76% growth — is still top-dollar dog, accounting for 57% of Netflix’s total iOS and Android app revenue. Considering two of Netflix’s prime goals for 2018 involved netting more customers in the Asia-Pacific region and improving “international profitability,” it’s not a big surprise the platform is rapidly increasing its Asian user base. 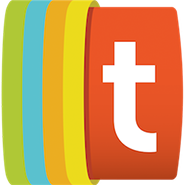 Its efforts this year have included testing, in a handful of Asian countries, a cheap, mobile-only subscription tier that costs around $4 U.S. per month, and making moves to produce 17 new original projects in Japan, Taiwan, Thailand, India, and South Korea — adding to the 100 Asia-based originals already available on the site. 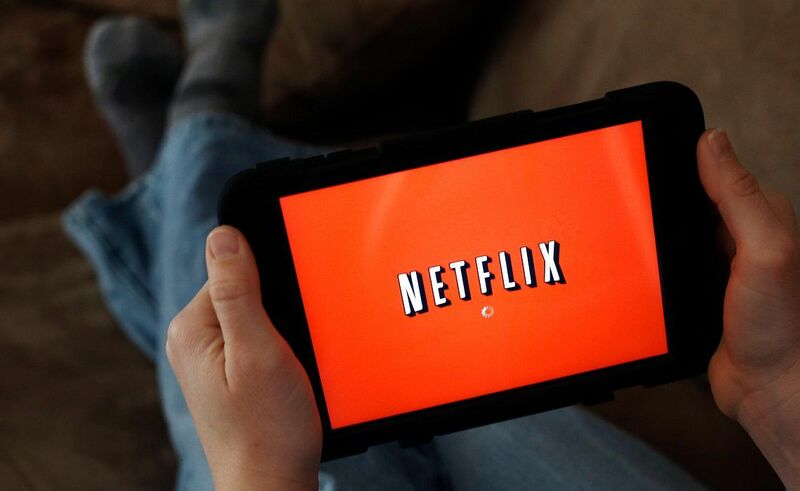 Along with finding ways to attract more international subscribers, Netflix has been examining ways to retain more money from customers’ subscription fees. In August and September, it ran a test in 33 global markets — including Japan, Korea, and South Africa — that looked at a way to cut Apple out of the payment process for the iOS app by directing users to enter their payment information in a mobile browser instead of in the iTunes store. By doing so, Netflix keeps all of users’ subscription fees, instead of having to hand over a 30% slice to Apple. Not everything Netflix tests gets turned into a permanent feature on the app, but the platform has already stopped users from being able to pay through the Android app on Google Play, so it’s likely we’ll see some form of this bypass system implemented — and see Netflix’s international app earnings increase even more because of it.